St John's Place, The perfect venue for any occasion. When hiring St John's Place you will have sole use of the venue for your party or event. 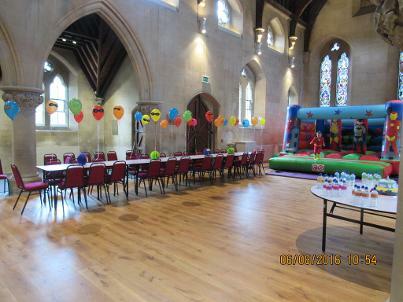 The hire charges include use of the tables and chairs, kitchen facilities and Audio Visual equipment. A Fully stocked and staffed bar can be included on request. 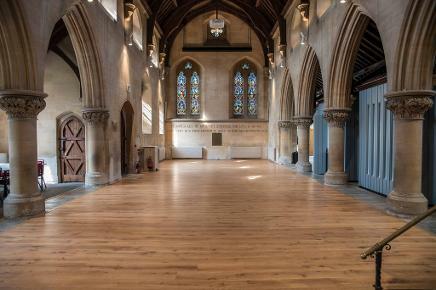 St John's Place offers its venue for hire, whether it is a children's after school club, a once a month book club or your wedding or special day, SJP can adapt it s space to suit your every need. SJP has capacity to seat 100 people or up to 150 standing. We also offer use of our kitchen facilities. Concessional prices available on request. For all your party needs.. Click on the links below to find out more..